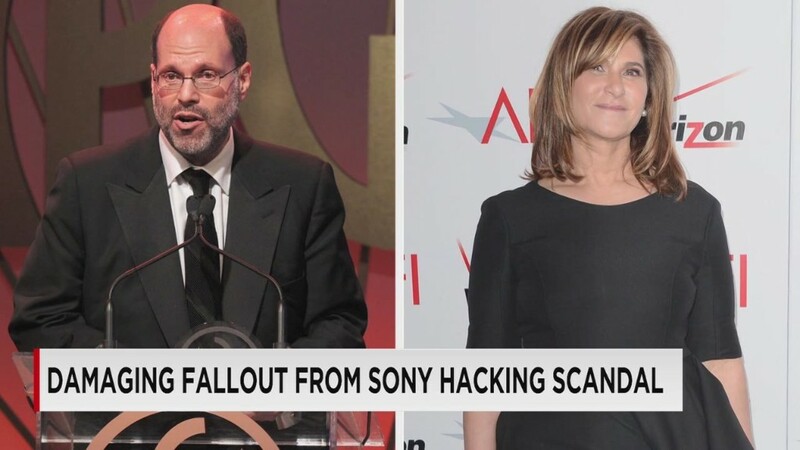 As it tries to recover from a devastating cyber attack, Sony Pictures is asking news organizations, including CNN, to stop examining and publicizing the corporate secrets that hackers have made public. Attorney David Boies said Sunday that the hackers' tactics are part of "an ongoing campaign explicitly seeking to prevent [Sony] from distributing a motion picture." "The perpetrators of the theft have threatened" Sony employees, Boies wrote in letters to news organizations, using the SPE abbreviation for Sony Pictures Entertainment. He said the hackers are "using the dissemination of both private and company information for the stated purpose of materially harming SPE unless SPE submits and withdraws the motion picture from distribution." Boies' language strongly suggested that Sony is, in effect, being blackmailed by the anonymous hackers to stop the forthcoming film "The Interview" from being released. Sony has not publicly said that before, nor has it accused any particular group of being behind November's crippling cyber attack. But cyber security experts have fingered North Korea as a possible source of the attack. The North Korean regime has condemned "The Interview," a comedy starring Seth Rogen and James Franco, because its plot involves the attempted assassination of Kim Jong-Un. Boies did not respond to a request for further comment on Sunday. In the three-page letter to the legal offices of several news organizations, Boies said Sony "does not consent to your possession, review, copying, dissemination, publication, uploading, downloading, or making any use of the stolen information." Furthermore, he said he was requesting "your cooperation in destroying" the materials. Boies said that if the news organizations "used or disseminated" the materials, Sony "will have no choice but to hold you responsible." Many news organizations, big and small, have been reporting on the revelations from the document dumps. In some cases, the hackers have tipped off journalists to new troves of private emails, budgets, scripts and other materials. "Essentially, we've done their bidding," Variety co-editor in chief Andrew Wallenstein said on CNN's "Reliable Sources" on Sunday. "We've maximized the exposure to this content. I don't do that lightly." "But on the other hand, it was going to get out there anyway, and we have to be part of the conversation," Wallenstein said in defending his decision to publish excerpts from the documents. Along with CNN, The New York Times, The Hollywood Reporter and Re/code reported receiving letters from Boies on Sunday afternoon. A Sony spokeswoman said the studio had no comment on the legal action.